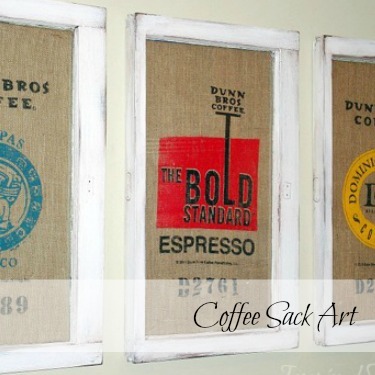 I am so excited to share a simple idea that one of my sweet friends came up with. When I saw it, I had one of those…”why didn’t I think of that” moments. Plus it totally puts my usual garage bag tied to a door handle to shame. 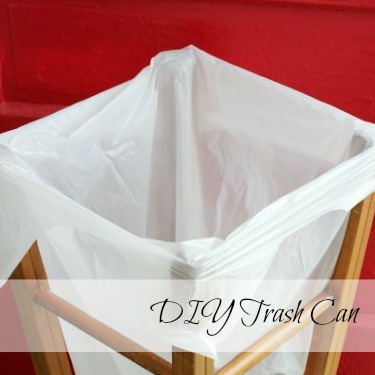 This simple DIY Trash Can is cute, simple and oh so perfect for in a pinch. Love! 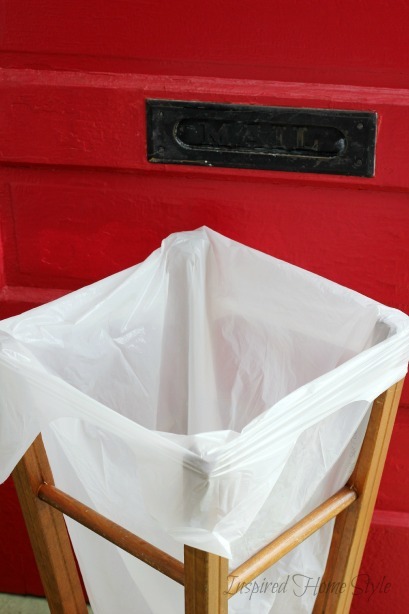 This will not replace your everyday garbage can. However, its great for birthday parties, backyard BBQ’s or anytime you have a crowd of people over. We actually used it for the trash can at our occasional shop. I thought it was just too brilliant not to share. Can you guess how my friend made this simple trash can? 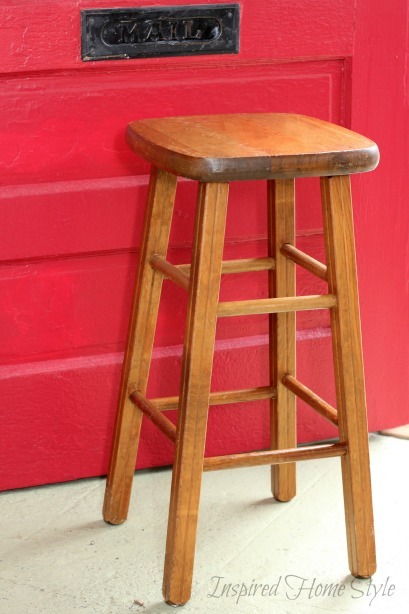 Her secret weapon…a bar stool! Photo taken at The Red Door. 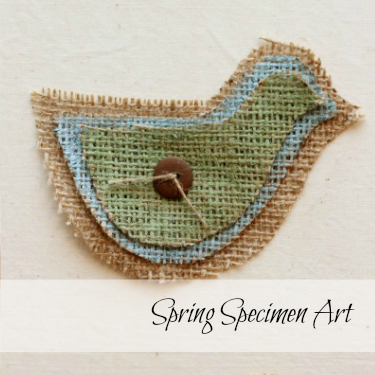 My favorite occasional store for local handmade goods (shameless plug). If you are like me, guests have already arrived before I realize…my under the sink trash can is not big enough. Trust me…that’s totally not the time to be running to the store. That’s why I love this idea so much. Quick, cheap and oh so adorable! 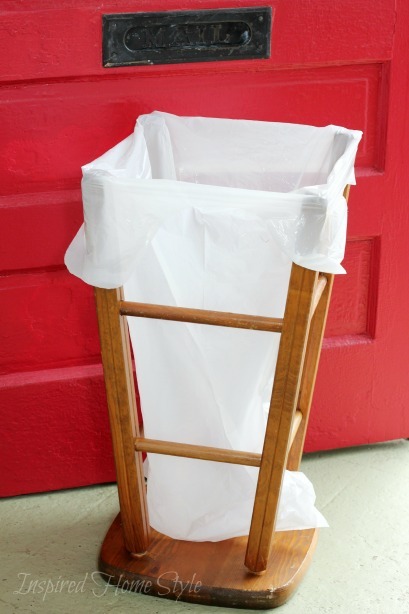 All you need is a bar stool and a trash bag. Things you probably already have at home. 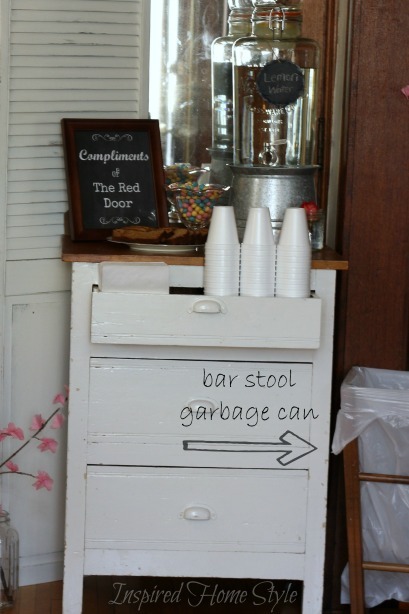 Start by turning the bar stool upside down. 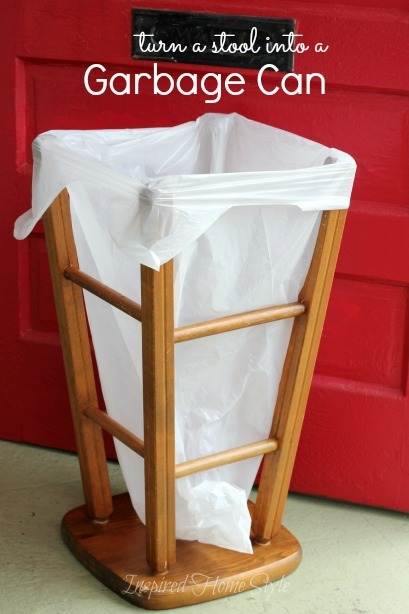 Next, fit the trash bag over the legs of the stool. You are all set with a new garbage can. Seriously could it be any easier? 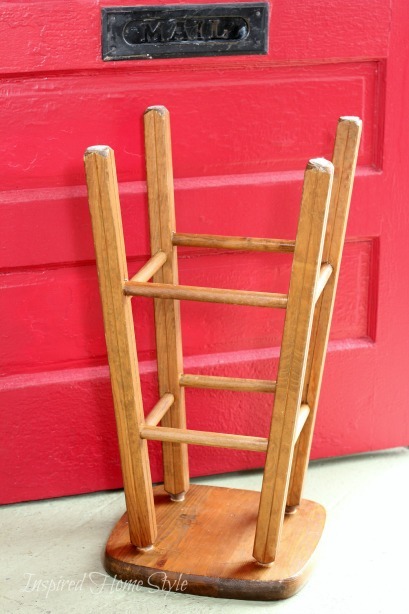 No power tools, paint or quick trips to the store needed. Love that! Way cuter than something that you would have picked up at the store anyway, right? I would love to hear your latest “why didn’t I think of that” moment. This entry was tagged Entertaining.